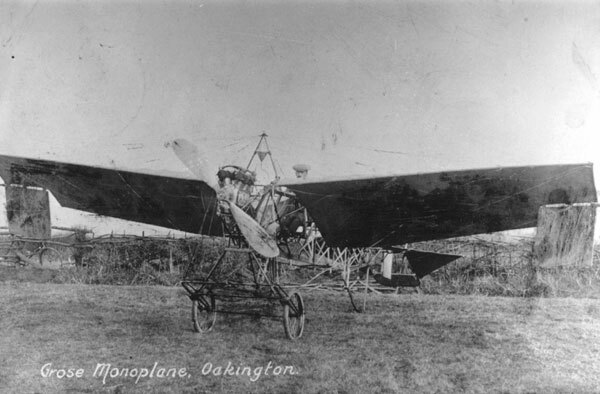 The Oakington monoplane was built in 1909 by two Oakington residents - Grose & Feary - in an attempt to win the prize of £1,000 offered by the Daily Mail for the first all British plane piloted by a Briton to fly a circular mile. 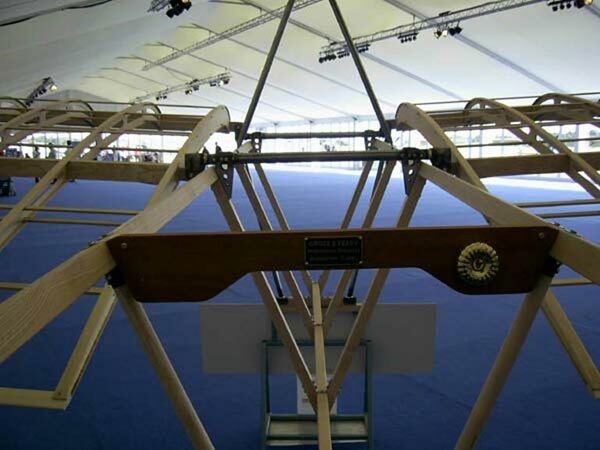 This website was set up as part of the research project into the monoplane and engine, to find out why it didn't fly and what happened to the men who built it after they left Oakington. 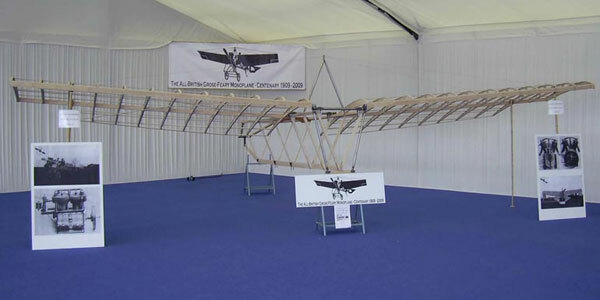 The 2009 Grose-Feary Replica as displayed at Marshall's Centenary on 20th Sept 2009. Our site dedicated to this wonderful plane is being spruced up at the moment. Please come back soon to see our collection of info and images in the new format. If you have anything to add, please do get in touch via the contact page.